Rainbow Six Siege’s next major patch – the Mid-Season Reinforcements – should be rolling out to test servers some time this week. Meet Rainbow’s latest in our guide to Rainbow Six Siege’s new operators. 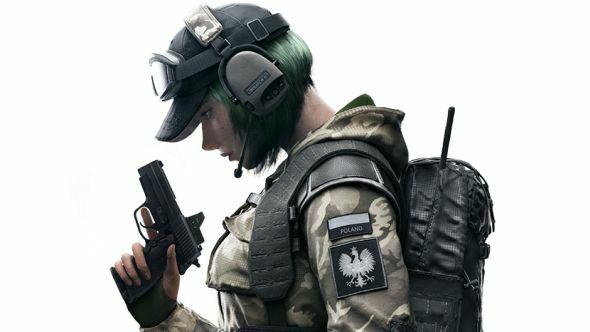 Mid-Season Reinforcements typically include a number of balance changes for operators – we already know that Ela will receive a nerf– of which a major overhaul is generally the centrepiece. Both Castle and Echo are well overdue for such a buff, so we’re guessing we’ll see one of them reworked in Ubi’s latest effort to reintroduce less useful ops to the meta. Our resident Siege expert Jordan Forward says we can also expect some smaller buffs and gadget reshuffles – previous reinforcements have seen operators change their grenade types, or have their stuns replaced with claymores. Naturally, we’ll also see a ton of bug fixes, map adjustments, weapon damage tweaks, and so on. Ubisoft have since outlined the changes due to hit the test servers – here are the juicy details on Rainbow Six Siege White Noise Mid-Season Reinforcements.